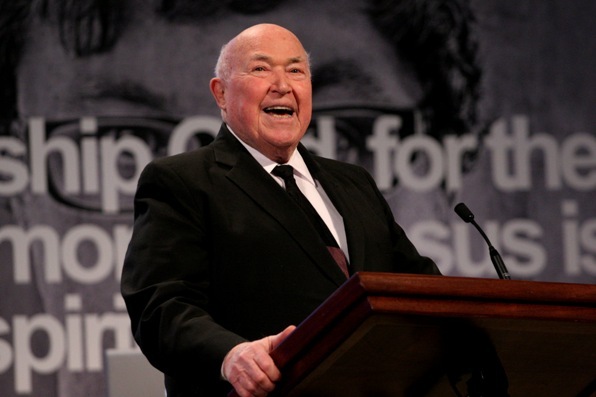 Calvary Chapel founder Pastor Chuck Smith, considered one of the major catalysts of the Jesus Movement of the ’60s and ’70s, died after a battle with lung cancer at the age of 86 on Thursday. As you already know either by news sources or maybe even this blog, our beloved friend and Brother in Christ, Pastor Chuck Smith died in his sleep this morning, Thursday October 3, 2013 at 3:00 a.m. 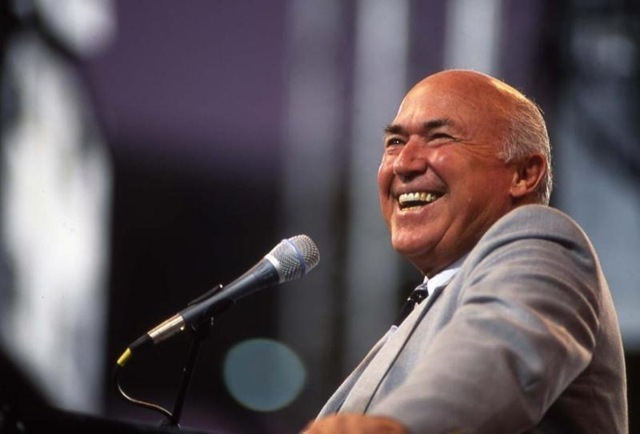 Truly, if there was anyone more believeable, other than Jesus Christ Himself, Pastor Chuck really believed it, and exemplified it by his continuous smile and laughter throughout his time here on earth. Death, a subject most of us would rather not discuss, and yet it is such a vital part of who we are as Christian’s. As ‘Born Again’ Believers, we believe in a life after this one that was made possible by Jesus Christ, as He rose from the dead and has given eternal life in heaven to those who put their trust in Him. All, who believe that Jesus Christ was raised from the dead, all follow the same path to a new address. Personally, I never met Pastor Chuck in person, but his teaching inspired me to pursue an appetite of the words from the Bible. I remember the first time I heard him preach in person was in Orange County, at what now is called the Verizon Amphitheater. I had just come to know Jesus, and I heard on the radio that he was going to be leading a ‘Sonrise Easter Service’ on Saturday night and Sunday morning. I decided I would go, and even though I went by myself, it was as if it were a Divine Appointment. When he gave an ‘Altar Call’, I walked down with hundreds of others. My first ‘church’ experience came not long after that, as the Holy Spirit called me to go to Calvary Chapel Golden Springs, where I remained under the teaching of Pastor Raul Ries. After about Seven months there, the Holy Spirit called me to go to another church named, Calvary Chapel Southbay, where I was under the teaching of Pastor Steve Mays. 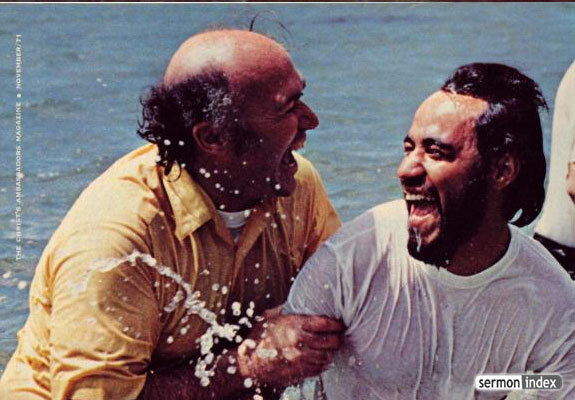 All along, I daily listened to Pastor Chuck’s messages on radio twice a day. In the morning and at lunch time on the ‘Word for Today’. I just absoultely fell in love with the Word of God through his teaching! A few months passed, and my church was taking applications for a ‘School Of Ministry’. The Holy Spirit said, go! I learned so much there about how to take the words in the Bible and present them in a personal and thoughtful way to those who were lost. Towards the end of this program, the Holy Spirit called me again, and said, ‘Go to Calvary Chapel Golden Springs, I have something for you there.’ Not knowing, not really thinking about it, I went, and discovered He wanted me to continue my training in the “Pastoral School’. After being interviewed by 8 different pastors, including Pastor Raul Ries, I was chosen to become part of this team of 12 men. It was a grueling 3 years, with intense study of the Word, the Minsitry, and learning how to be trained to become a Pastor. All this I mention, because it all begin with the Lord using Pastor Chuck Smith to pursue a dream of teaching and pastoring the flocks of Jesus Christ. It led me to eventually come on staff at Calvary Chapel Southbay where I have been for Six years. 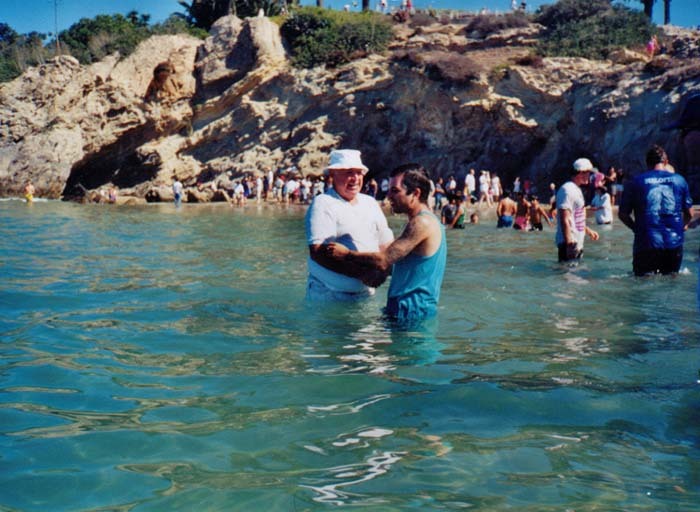 When I heard in June 2012 that Pastor Chuck ‘shocked’ his congregation in Costa Mesa, with his announcement that he had lung cancer, I was greatly moved, and it caused me to pray fervently for his life and ministry. I have to admit, I just couldn’t believe this was happening to my, ‘hero’. As the year moved on, I announced my engagement to a most beautiful woman in Christ, Patty, and we were married in December 22, 2012. I must say, it was the most beautiful day of my life, outside of receiving Jesus Christ as my Savior. We had the most glorious honeymoon in my hometown, Mill Valley, California. Then came January 16, 2013……. what I thought, (actually didn’t think about for myself) , I was diagnosed with Stage 3 Colon Cancer. Yes, it did cross my mind how Pastor Chuck was handling his cancer journey. I was assigned 7 1/2 months of Chemotherapy to rid me of ‘traces’ that were left after mys surgery. Nevertheless, my doctor ‘wanted to make sure there was nothing left’. As I have recently completed my treatment, I have been told by my doctor, Dr. Lowe, that there is no more cancer. Those 7 1/2 months were lifechanging for me, but there was one stable liferaft that kept me from drowning and giving up; the Word of God. The same Word, that Pastor Chuck lived by, I was now going to go down that road, and ‘live what I preached’. The Lord gave me a Word at the begining to Patty and myself. John 11:4, a passage I was very aware of would now become my life vest. Jesus replying to a servant sent to Him by His friends, Mary and Martha, that their brother was very sick, and dying. Jesus response was: “This sickness is not unto death, but for the glory of God; that His Son might be glorified thereby”. I’m happy to say, the Lord kept His promise! It is and has always been the Word of God, that has changed my life, one step at at a time, and God used Pastor Chuck to instill in me the blessing God has given me, in His Living Word. Although Pastor Chuck is no longer with us, his life has become a markerstone for me and all those who loved this man! He will be sorely missed, but remember, as he said himself, ‘When you hear about my passing, and dying…….don’t believe a word of it! I have simply ‘changed addresses’. We will see you again Pastor, we will always love you, and thank God for sending a“loyal and faithful servant” to bless our lives! Here is a wonderful sermon by Pastor Chuck entitled, ‘Preparation To Meet God’. Enjoy, and God bless! We will miss you Pastor Chuck.